10:10 a.m. At the Moffat County Library, officers responded to a report of a large man who appeared suspicious. He was wearing black shirt, black pants, a straw hat and a goatee, and was talking to himself and cussing. Officers contacted the man, who has been trespassed from several different locations in town and warned him not to return to the library. 1:01 p.m. At the Public Safety Center, a man turned in what appeared to be a small amount of marijuana he found near Stagecoach Reservoir. Officers disposed of it. 1:14 p.m. On East 12th Street, officers responded to a report of a disturbance related to mental health issues. 1:34 p.m. On the 600 block of Tucker Street, officers received a report of fraudulent charges on a checking account. 1:59 p.m. On the 1400 block of Rose Street, officers responded to a report of a suspicious tree-trimming truck parked at a dead end. The caller thought it was strange because there were no trees in the area. Officers contacted them and they said they were contracted through Yampa Valley Electric Association to clean up branches. 2:46 p.m. At the Department of Social Services, officers responded to a panic alarm that was set off in response to a verbal disturbance caused by a client. 8:39 p.m. On the 800 block of Legion Street, officers responded to a report of an assault. A male party was reportedly setting off bottle rockets when a man in a maroon F350 crew cab truck stopped to yell at him, then jumped out of his truck and hit the male party. Officers spoke with the victim and witnesses and were able to contact the driver of the truck. They warned him, gave him a lesson in etiquette and advised him to call the police next time, not to handle it himself. 10:12 p.m. At Walmart, officers responded to a report of a theft. As a man walked out with a shopping cart full of stuff, he was asked by staff if he’d paid for it, then he started running and loaded it into a red car. Officers contacted two people at an apartment who stated they took the man to Walmart to pick up some things and dropped him off at Lone Pine Inn. 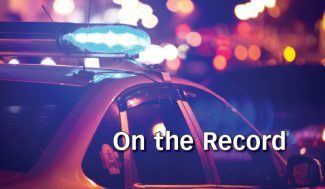 Officers then contacted the man, a 37-year-old Craig resident, and trespassed him from Walmart and cited him for theft of items valuing about $20. He allegedly took a black computer bag, produce and groceries. 11:11 p.m. On the 400 block of East Fourth Street, officers responded to a report of a burglary. A man advised he’d had several items stolen including a drill set and tool set. 2:11 a.m. At the west Kum & Go, officers responded to a report of a theft by a teenager with green curly hair who regularly came into the store and apparently took a bunch of candy. Officers were unable to locate him. 9:49 a.m. On the 2200 block of West Third Street, officers responded to a disturbance caused by a male party cursing. 9:52 a.m. On the 700 block of School Street, officers responded to a report of domestic violence. A 22-year-old Craig man was arrested on domestic violence charges of harassment, false imprisonment, third-degree assault, obstruction of telephone services and child abuse. 2:47 p.m. At Walmart, officers took a report of a dog locked inside a white Ford truck with the window cracked a bit. The caller said the dog was in danger and was barking and panting. The owner of the truck then returned and officers were told to disregard. 3:06 p.m. At the smoke shop at Centennial Mall, an employee reported a female party in the shop had put two items in her pocket. When the employee confronted her about it, she put the items back on the shelf before she left. He thought she was possibly on drugs and she drove off in a dirty white GMC Jimmy. 3:25 p.m. At the Traveller’s Inn, officers received a call from a man who said he was supposed to be in court but didn’t show up because of a recent auto accident. He thinks he’s supposed to be in jail. Officers found he did have a warrant for failure to appear and arrested him on the warrant. 6:32 p.m. At the east Kum & Go, officers received a report of a highly intoxicated female walking down U.S. Highway 40 with a corgi dog. The caller said she was so drunk she was almost hit by a car. 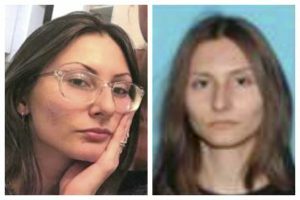 Described as wearing a black tank top with grey bottoms and black hair in a bun, officers contacted her on the 600 block of Lincoln and called a family member to come pick her up. 9:03 p.m. On the 700 block of Breeze Street, officers responded to a report of a theft of three walkway lights found missing in someone’s front yard. 10 p.m. At Elkhead Reservoir, a Colorado Parks & Wildlife employee found two stray Australian shepherds and requested an officer meet her at the animal shelter. Max Andrew Kelly, 40, of Craig, was booked into Moffat County Jail on a courtesy hold. Jordan Constance Maneotis, 25, of Littleton, was arrested on a warrant for contempt of court. Sergio Rios-Vega, 40, of Granby, was booked into Moffat County Jail on a courtesy hold for U.S. Immigration and Customs Enforcement. Michael Dean Pauley, 50, of Craig, was arrested on a warrant for failure to appear related to a traffic offense. Felicia Renee Dunn, 25, of Craig, was booked into Moffat County Jail to serve time for a previous offense. Leonardo Solis-Garcia, 60, of Grand Junction, was booked into Moffat County Jail on an ICE hold. Martha Leticia Hernandez, 52, of Rock Springs, Wyoming, was booked into Moffat County Jail on an ICE hold. Justin J. Moe, 23, of Gilbert, Montana, was arrested on suspicion of violation of a restraining order. Jesus Xavier Hernandez, 18, of Craig, was arrested on a warrant for contempt of court related to dangerous drugs. 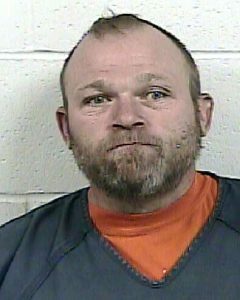 James Merle Madsen, 39, of Craig, was arrested on a warrant for sexual assault. Peter C. Engel, 63, of Craig, was arrested on suspicion of driving under the influence of alcohol, following too closely, open marijuana container in a motor vehicle and driving without a valid drivers license. Ronald Benito Martinez, 25, of Craig, was booked into Moffat County Jail to serve time for a previous DUI offense. Paul L. Nelson, Sr., 48, of Craig, was arrested on suspicion of menacing, second-degree assault and second-degree kidnapping. Collett Wall, 36, of Jensen, Utah, was arrested on a warrant for contempt of court related to trespassing charges. Kyle Trenton Croley, 32, transient, was arrested on suspicion of domestic violence, first-degree criminal trespassing, child abuse, criminal mischief, third-degree assault and obstruction of telephone services. Jonathan Frank Jenkins, 30, of Craig, was arrested on suspicion of driving under restraint, failure to employ child restraint systems and lack of insurance. Jake Curtis Swenson, 30, of Craig, was arrested on suspicion of resisting arrest, obstructing a peace officer and driving under restraint related to alcohol. Crystal Ann Clark, 36, of Craig, was arrested on suspicion of harassment, domestic violence and prohibited use of a weapon.